Head out into the wilderness on your Northern Lights holidays in your very own private see-through bubble for an Aurora chase like no other! 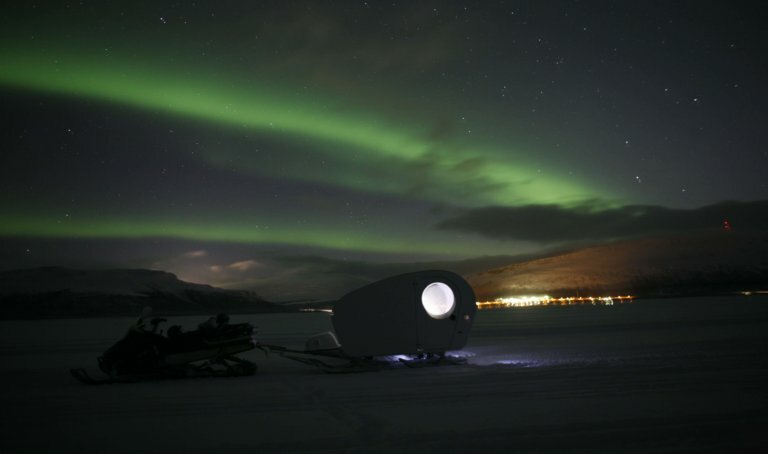 This polycarbonate see-through bubble is both an observatory and a sleigh. 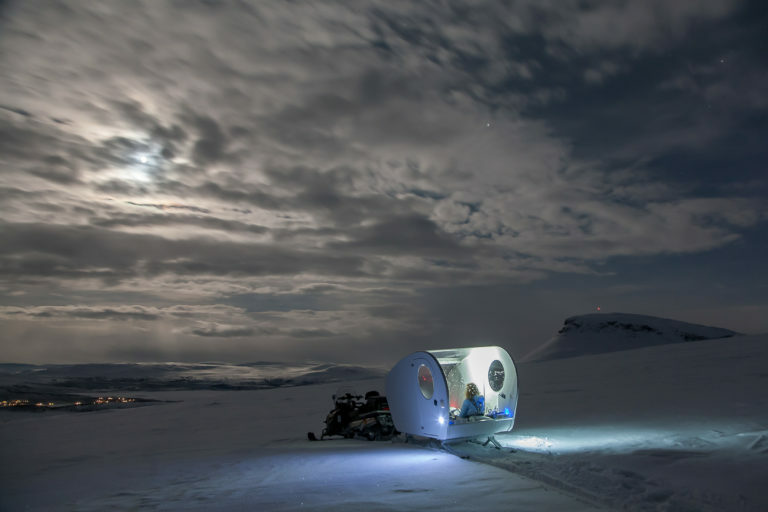 Pulled by snowmobile on skis into the best spots for the Aurora you will be able to relax on beanbags and reindeer skins and watch the Aurora whilst being kept warm by the on-board heater. 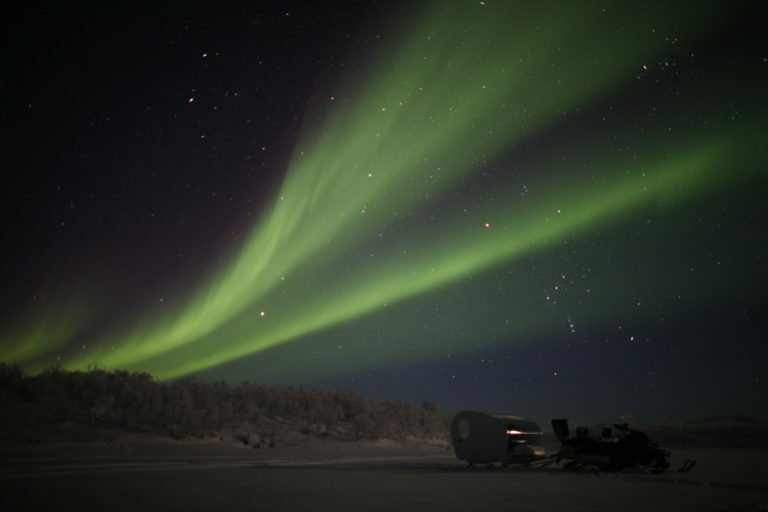 There is no light pollution in the Kilpisjärvi snow-covered fell area so this truly is one of the most magical ways to see the Aurora. Itineraries to Inspire - Coming soon! Experience in 360 - Coming Soon!